Your info is secure with us. Guaranteed. Staying motivated, challenged, and one step ahead of the competition means at all times having that extra edge. 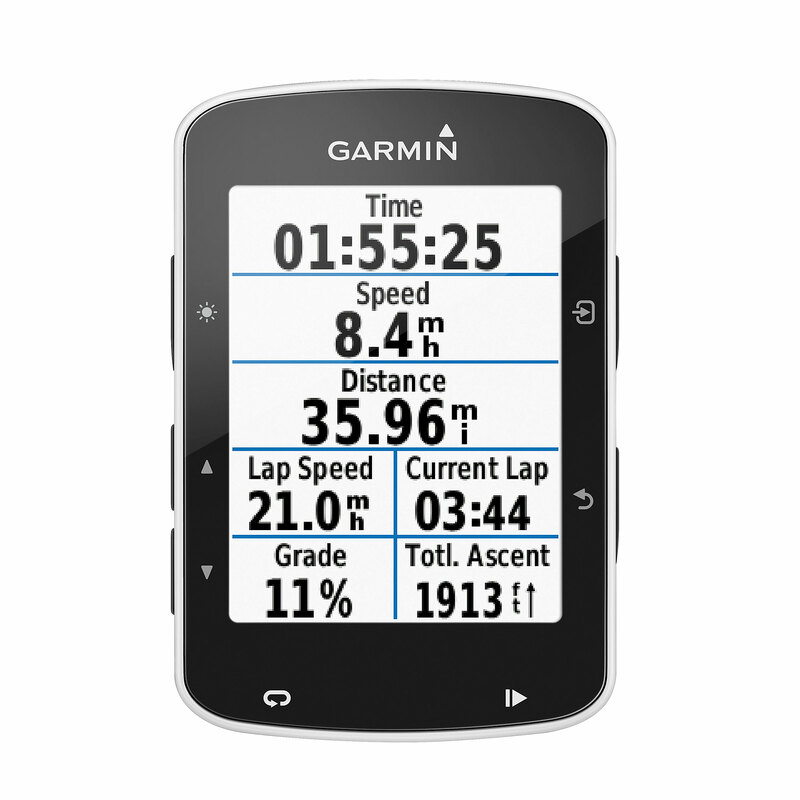 With the new Edge 520 by Garmin, you’ll have the only cycling computer on the market with access to Strava Live Segments, getting instant access to data all the way through each portion of your ride, with immediate performance results following each segment. Additionally, the Edge 520 will calculate your VO2 Max and recovery time customized specifically to cycling, plus Time in Zone, FTP tracking, cycling dynamics, and indoor trainer beef up all on a crisp, easy-to-read color display. With added Live Tracking and smart notifications, you’ll stay connected to family and friends for up to 15 hours, thanks to the extended battery life. Challenge yourself on a whole new level with the first cycling computer to feature Strava Live Segments*, which instantly show how you measure against other Strava users and friends or even your own prior uphill climbs and other difficult stretches of road. Additional in-ride challenges available from Garmin Connect. The Edge 520 tracks time, distance, speed, GPS position, and elevation, with fully customizable fields on a 2.3” color display screen. Access faster navigating with GPS plus the added GLONASS, a Russian-based navigating system that adds an additional 24 satellites . Provides up-to-date weather alerts, so you’re at all times informed of upcoming harsh conditions that may affect your performance or safety. When paired with a Vector or Vector 2 power meter, Edge 520 will track cycling dynamics, watts/kg, and Functional Threshold Power. Get accurate elevation readings with the built-in barometric altimeter. Take advantage of the convenient Auto Lap feature for precision tracking, plus Auto Pause. Edge 520 partners with Shimano Di2 electronic shifting systems, plus standard ANT+ power meters, speed, cadence and heart rate sensors, Garmin VIRB, Garmin Varia cycling products, remotes, and compatible indoor trainers. Endurance cyclist? The Edge 520 supports you the whole way – use up to 15 hours. Stay connected through Live Tracking, plus share courses and get incoming call alerts & texts. *Your purchase includes a complimentary Strava Premium 3-month trial, giving you access to live feedback, personalized coaching, and advanced analytics.